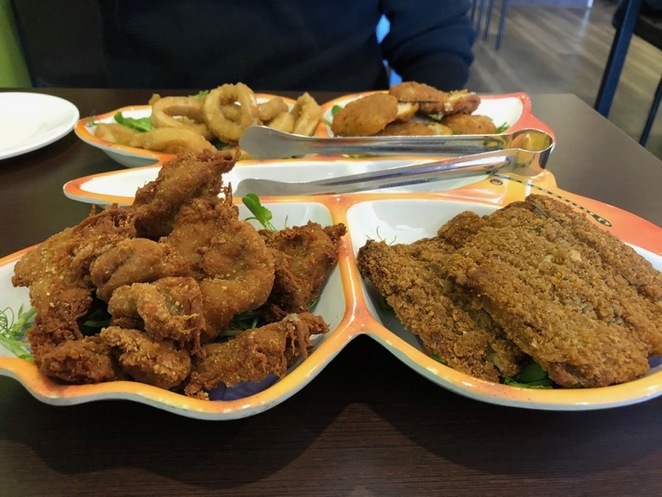 It isn't every day that you find a restaurant that caters to this particular combination of dietary requirements: vegetarian, vegan, allergy-friendly, halal-certified and has tasty food to boot. 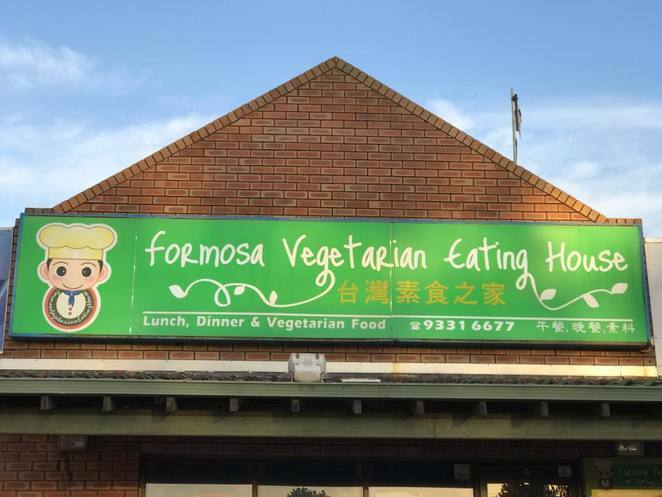 Formosa Vegetarian Eating House in Kardinya is this unicorn of a place. The restaurant is tucked away in the row of shops behind the Kardinya Tavern and in front of the Aldi. Even though they don't serve real meat, their mock meat still manages to hit all the right spots. One of their most popular dishes is the fried chicken and it even though it's not made from real meat, it's so tasty that you won't care. Other highlights from their menu are the spicy hou tou (monkey head) mushrooms, the combination BBQ platter, satay lamb and their Chinese herbal steamboat. Combination BBQ platter with various mock "meats"
They also serve a large range of Chinese stir-fry dishes, from noodles to stir-fry vegetables. The cuisine is primarily Chinese in the Taiwanese style, but western-style dishes like chicken and chips are also available. Everything on their menu is vegetarian, but some dishes are also vegan or peanut allergy-friendly, and these are marked clearly on the menu. But if none of those strikes your fancy, you can also request that your ordered dishes be cooked to suit your dietary requirements. The service is no-frills. If no one seats you on entry, you can pick a spot anywhere and grab a menu and an order chit from the counter. Cutlery, black tea and condiments are self-service. Once you fill out your order chits, place your order at the counter. You can also do your food shopping here as the restaurant also doubles as a mini-store. 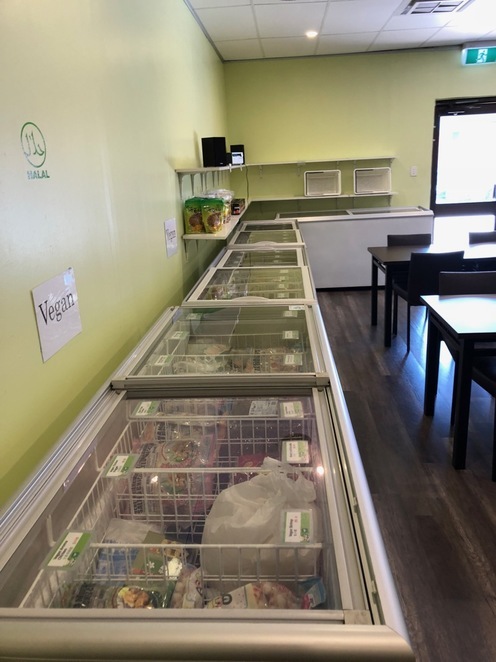 One side of the restaurant has several large freezers displaying a large variety of vegetarian food and mock meat for purchase. If you like your Formosa food with a side of bubble tea and karaoke, their other branch can be found inside Utopia Square on James Street in Northbridge. This branch shares retail space with the bubble tea and karaoke chain Utopia, and many people confuse Formosa for Utopia even though they are separate entities operating under one roof. Their Kardinya restaurant can be found at 7/23 South Street, Kardinya, 6163 Western Australia. Their Northbridge restaurant can be found at 109 James Street, Northbridge, 6003 Western Australia. Why? For the occasions where you need to cater to vegetarians, vegans, peanut-sensitives and Muslims, all at once.